Shipping containers are a cornerstone of the world’s economy, but they’re also very, very heavy and completely dependent on cranes to be moved about. Except the SL-Tainer, which is the first container to be blessed with built-in legs so that it can actually lift itself. The SL-Tainer obviously isn’t able to lift itself on or off a giant container ship, it would still need to enlist the help of dock crane for that. But it can easily lift itself off the ground, using a set of four hydraulicly-powered legs, allowing a tractor trailer to back in underneath it and haul it away. The container does require a power source to operate those four legs, whether from a truck or a portable generator. But it’s estimated that it ends up costing about a dollar every time it’s loaded or unloaded off a truck, which takes about 15 minutes. Compared to the cost of renting a crane to do the same job, a buck is a bargain. 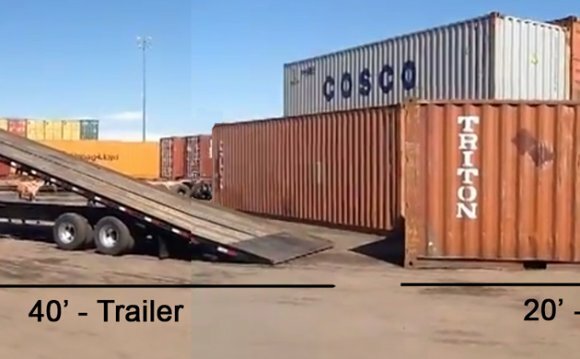 And besides making it easier to move cargo in locations where cranes aren’t available, or simply can’t be used due to limited overhead clearance, the SL-Tainer also makes it easier to use shipping containers for temporary storage, or even as temporary structures. Shipping container pop-up stores and restaurants are becoming more and more popular, and with the ability to unload itself at its destination, the SL-Tainer seems like a far better solution than just putting up a tent. Where can I Buy shipping boxes?